The international movie poster from the upcoming crime drama " Bangkok Dangerous" has been released. The movie is a remake of a 1999 Thai film of the same name and stars Nicolas Cage. 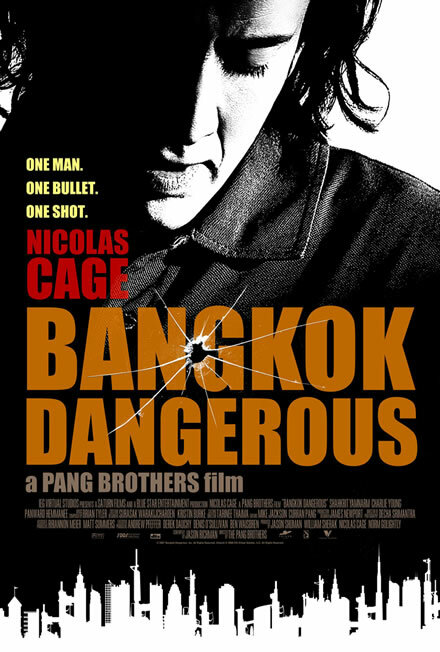 In the film, Cage plays a cold-blooded hit man who heads to Bangkok to pull off four jobs, and winds up falling in love with a local girl and bonding with his errand boy. The poster features the slogan, "One Man. One Bullet. One Shot."